We were sitting in the back seat of Matsu-san’s little jeep, climbing the rolling hills of Wazuka, Japan. The road was curvy, I was worried I would get carsick (I’m always carsick) the only thing that really helps is closing my eyes. 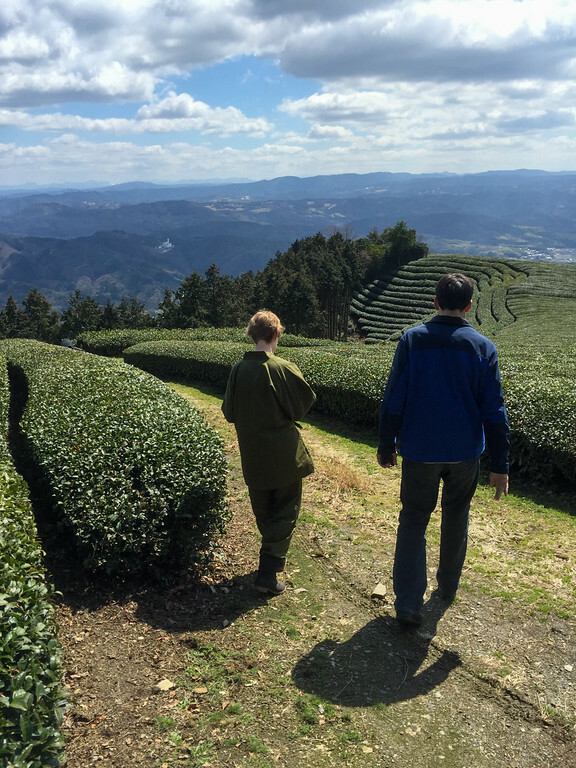 We were in Japanese green tea country, exploring the mountain-top tea fields in Wazuka, Japan. 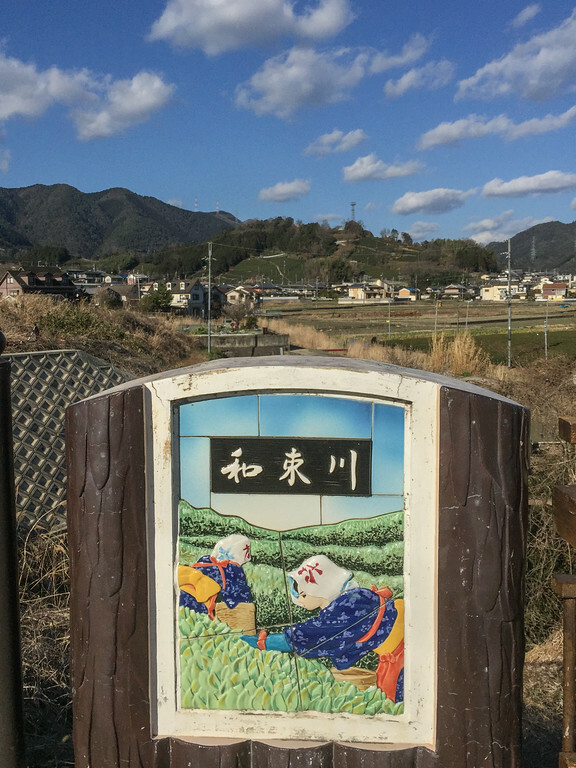 Wazuka is a small farming town in the Kyoto Prefecture, about an hour and a half from Kyoto Station on transit. 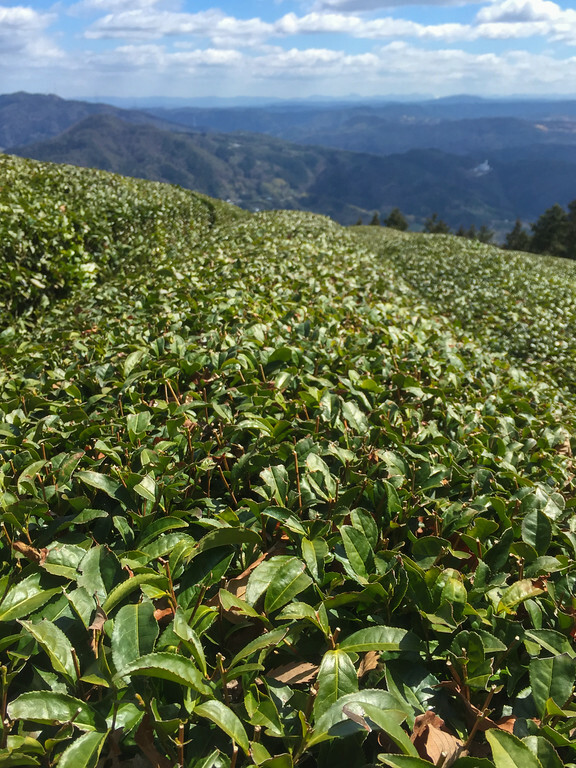 The town is “steeped” in tea history — it was the first place in Japan that tea was grown after having been introduced to the islands from China more than 800 years ago. 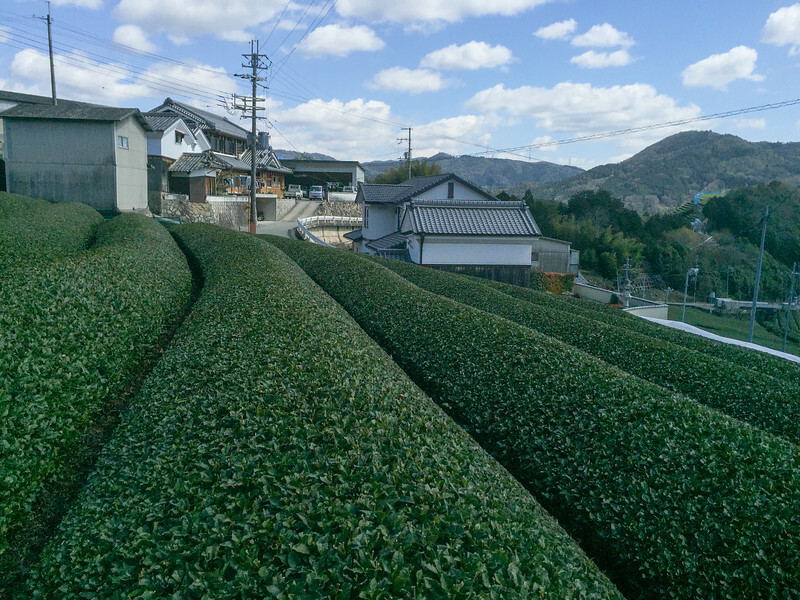 When we went to Japan back in 2012, I looked for green tea plantations to visit but I couldn’t find one that was open to the public. 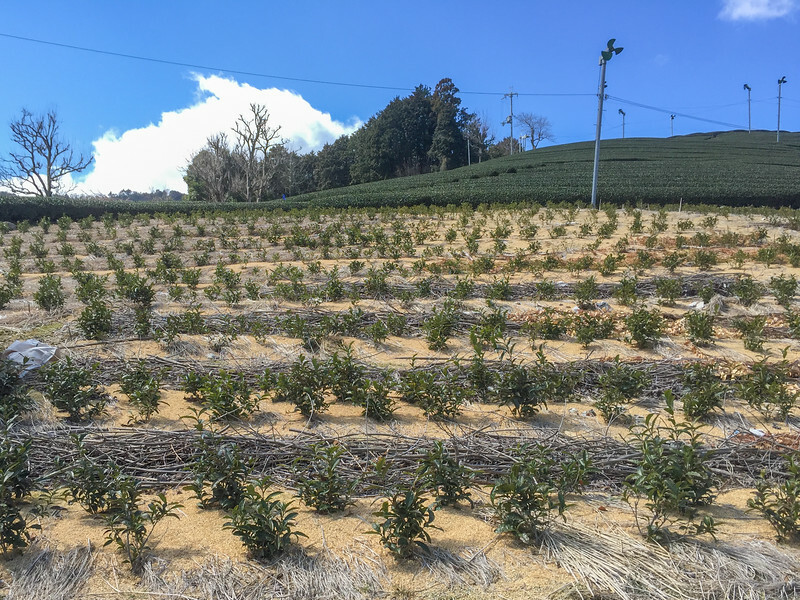 As recently as January of this year, I asked several major green tea producers that I met at a food industry trade show if they offered farm tours at their Japanese tea plantations. None did. 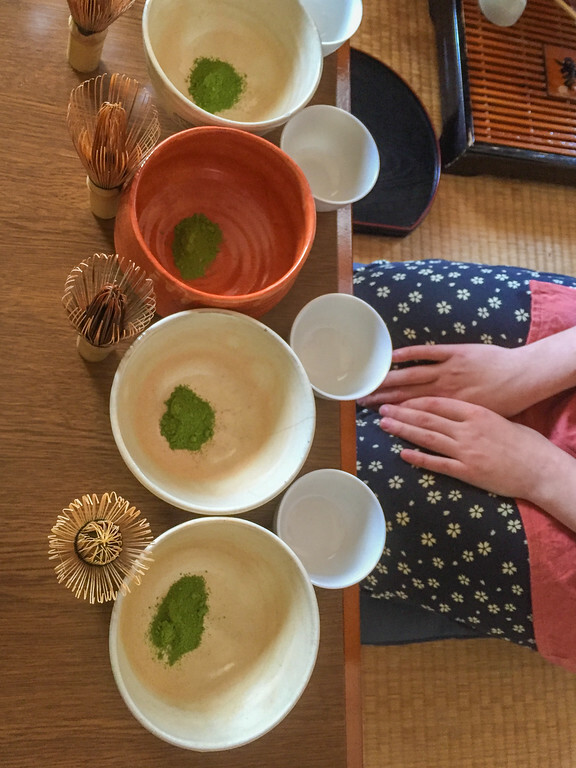 A few weeks later, my Japan guidebook pointed me in the right direction–one of the top things it listed to do in Kyoto was “visit a tea farm.” I did some searching and found Obubu Tea Farm offers an all-day tea farm tour and tasting workshop on their Wazuka tea plantation. I was elated! I booked a tour for our March trip. After a brief introductory talk about Wazuka and Japanese tea, we piled into the jeep for our tea field tour. 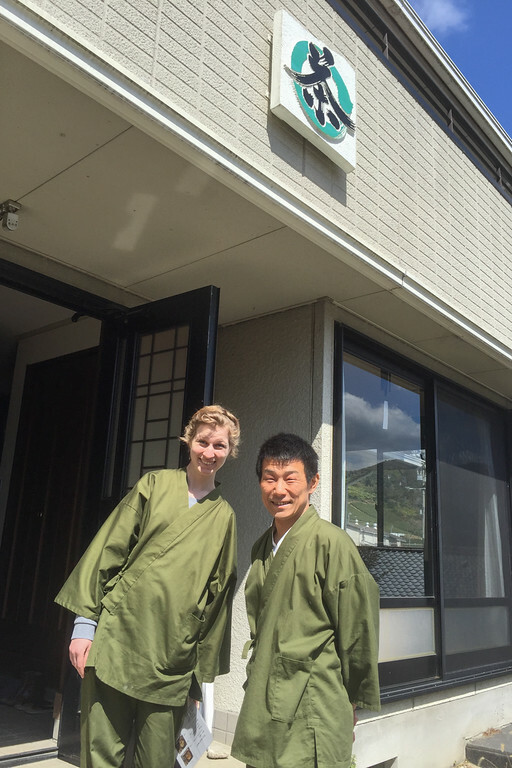 Obubu co-founder, Yasuharu Matsumoto (“Matsu-san”) drove, and a young German intern named Annika came along to assist as our guide. 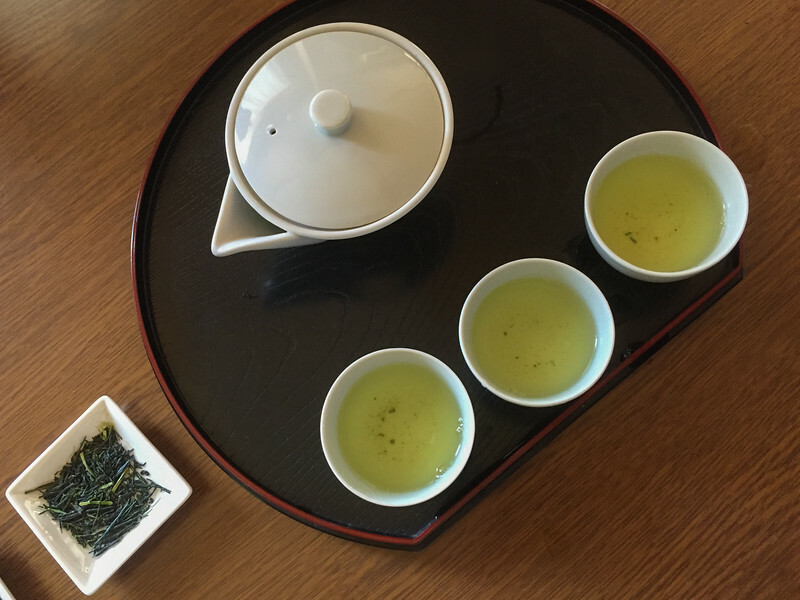 Despite the recent ascendence of matcha-everything, Japanese green tea isn’t actually too well-known outside of Japan since more than 98% of all tea produced in Japan stays in Japan. Obubu has been trying to change that with their global outreach, an annual Tea World Tour marketing and educational trip, and a popular foreign intern program. 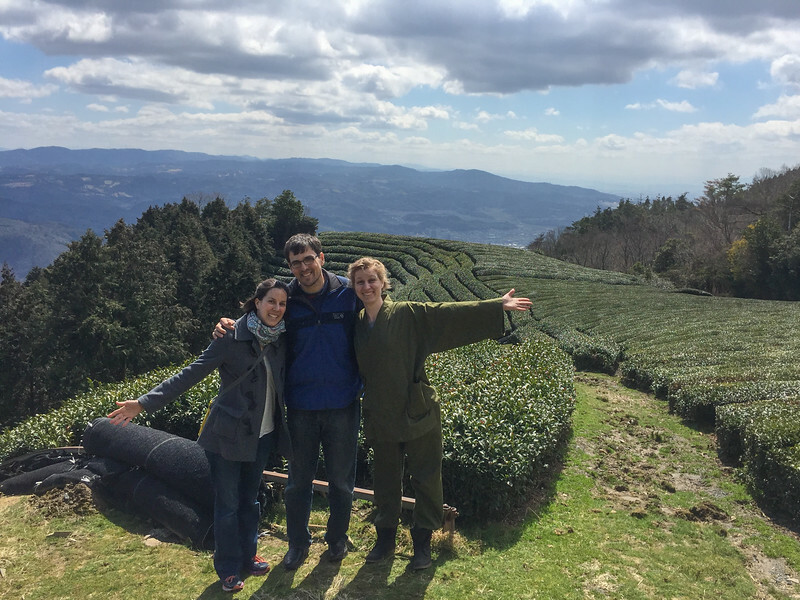 In this three or six-month program, tea apprentices come from around the world, assist with marketing, social media, and the website, do translations, and lead tea tours. 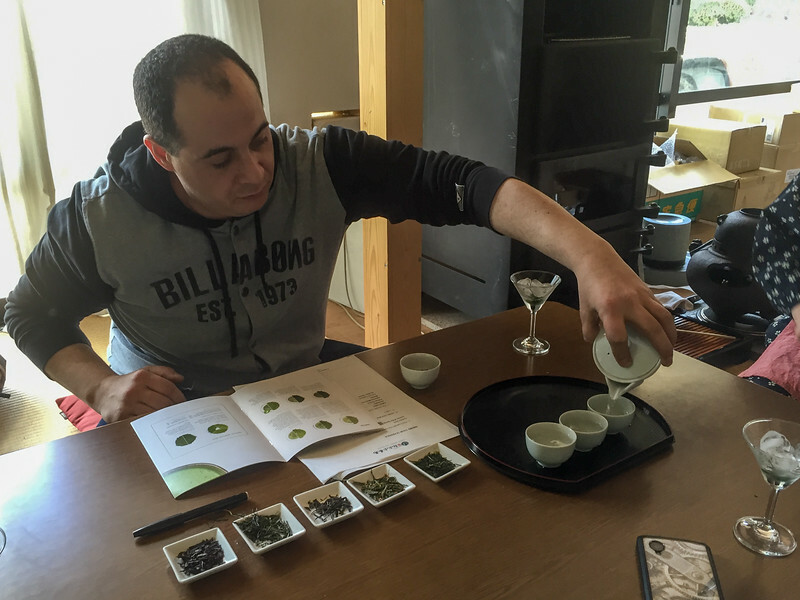 The former interns become global ambassadors of Japanese tea, and many of them go on to open tea businesses back in their home countries. We drove through the rolling hills admiring the vibrant and carefully manicured landscape. Wazuka is a small town (pop: 5,011) but very important in the tea industry. 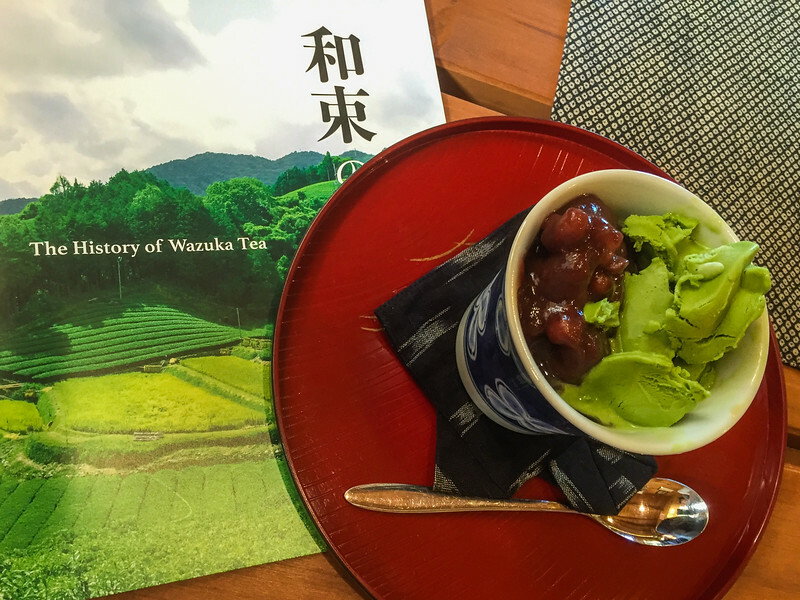 More than 50% of all the matcha (powdered green tea) sold in the world comes from Wazuka. 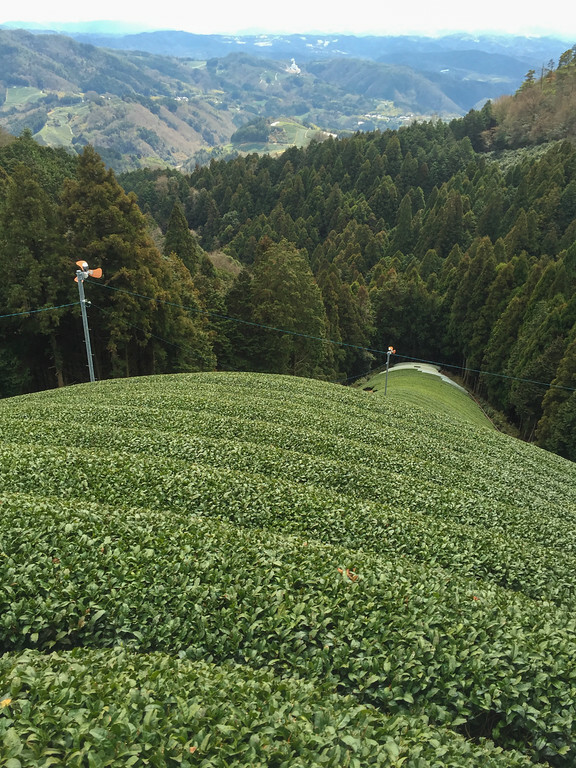 Obubu Tea grows over 13,000 pounds of tea per year and last year, one-half of that was used to produce matcha. 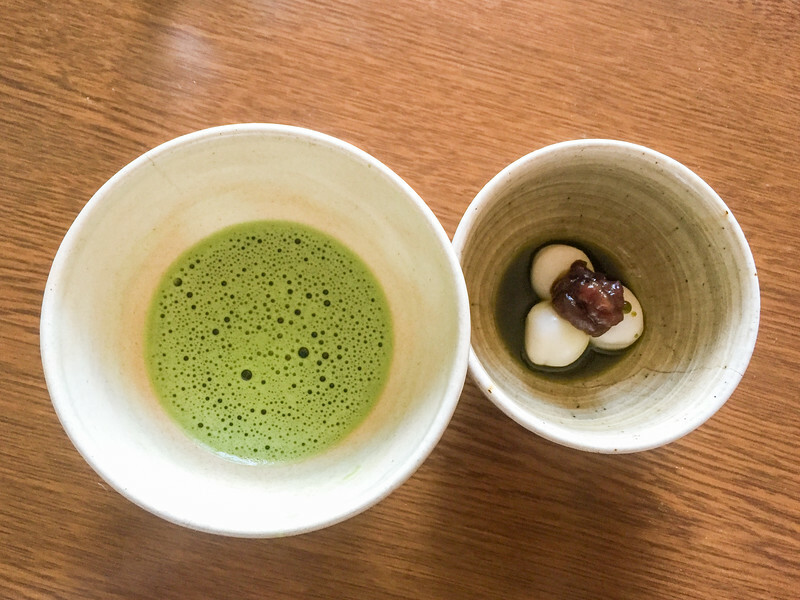 In recent years, matcha has become quite popular in the U.S. as a healthy, antioxidant-rich smoothie and dessert ingredient (re: my matcha cookie recipe) — Matsu-san said the sales price of matcha is booming. 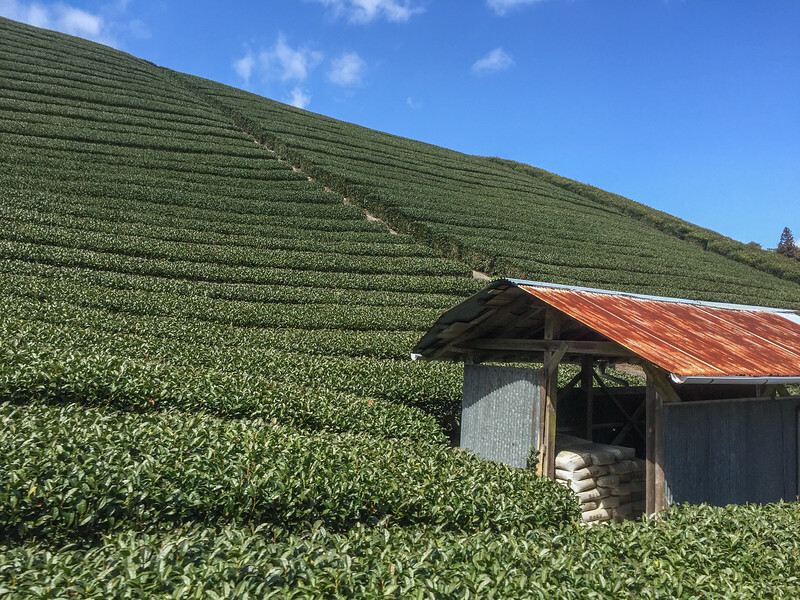 It was clear that local growers were trying to grow as much tea on the irregular terrain as possible. 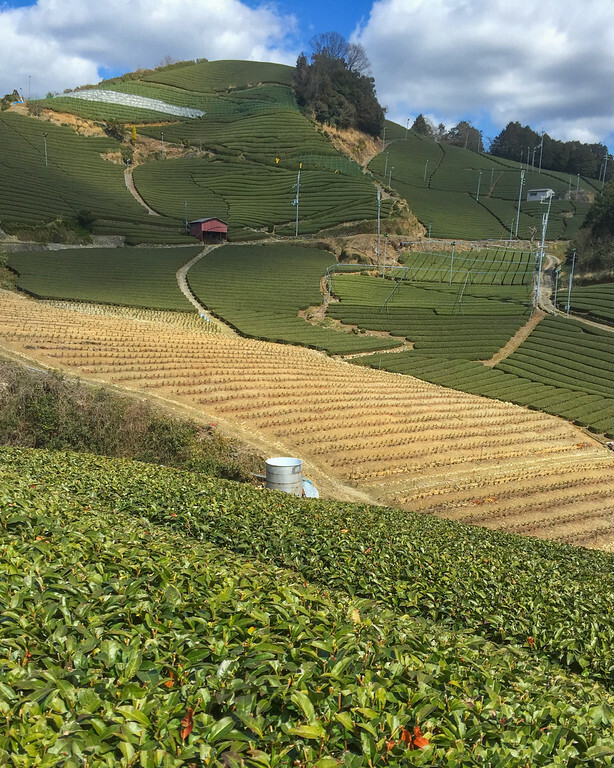 We saw many tea fields that were newly planted. 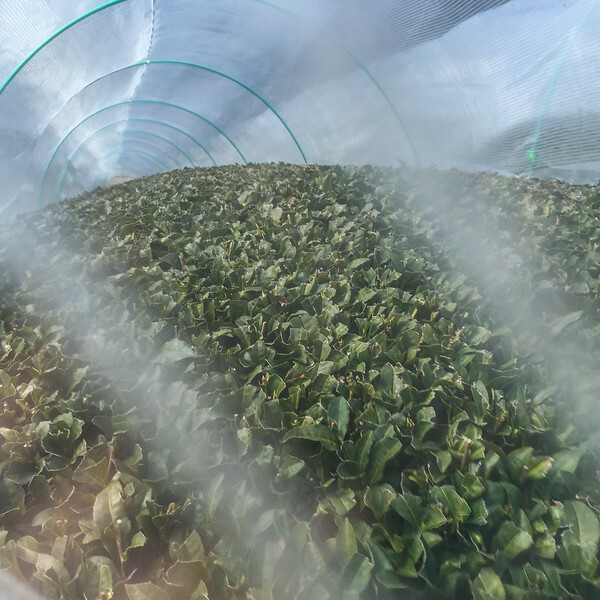 It takes five years for new growth tea plants to be able to yield their first harvest. 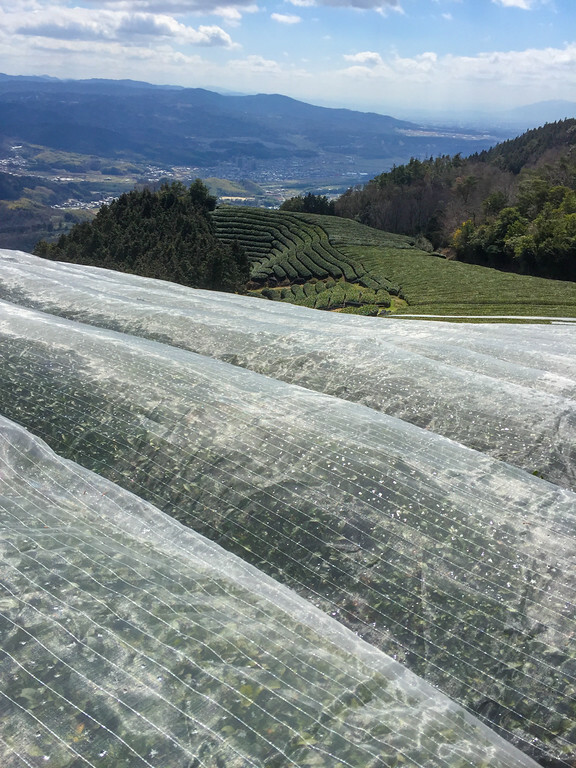 They also pointed out fields with fans that promote air circulation and prevent condensation on foggy mornings. 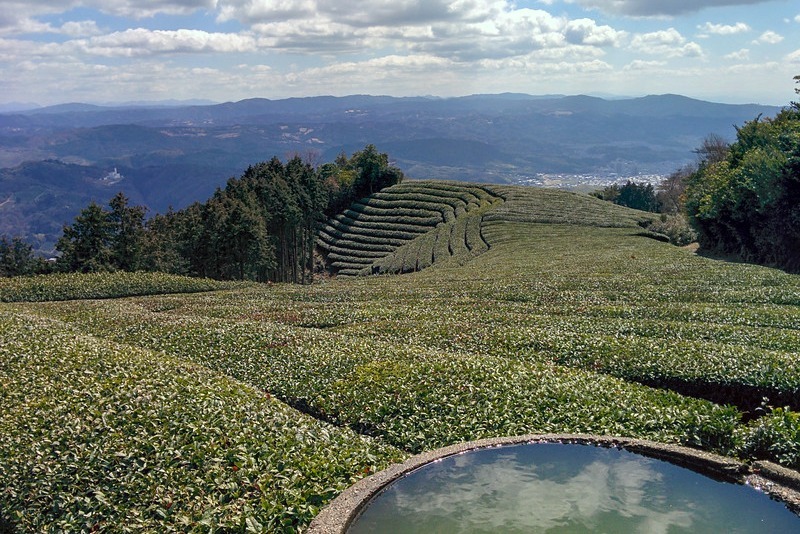 When we got to the top of the hill, we stopped to walk through one of Obubu’s hilltop tea gardens. At about 2,000 feet, it’s not exactly rugged mountain terrain, but we still had a stunning view of the Wazuka valley. …and we snapped some goofy pictures. After this frolic through the fields, we returned to the Obubu tea processing house where the picked leaves are dried, rolled, and fermented. 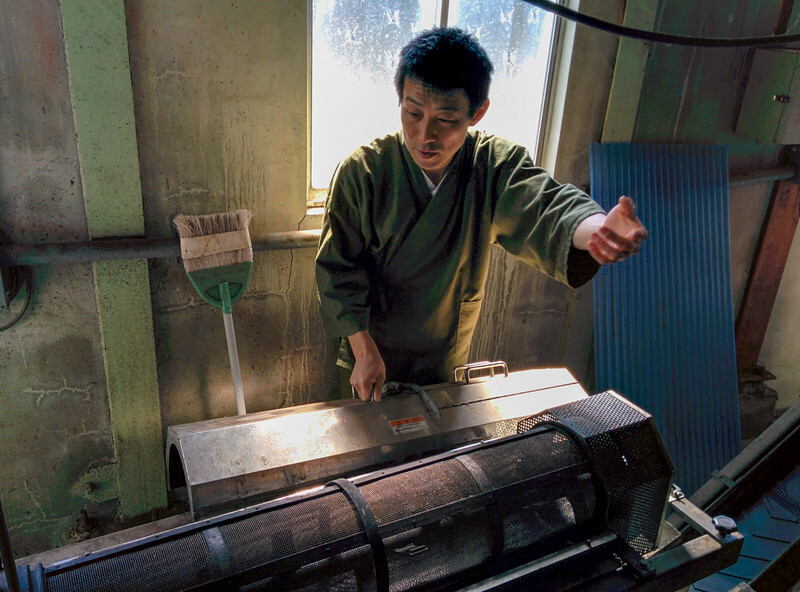 Matsu-san explained how all of the industrial devices worked, mimicking traditional sun-drying and hand-rolling. 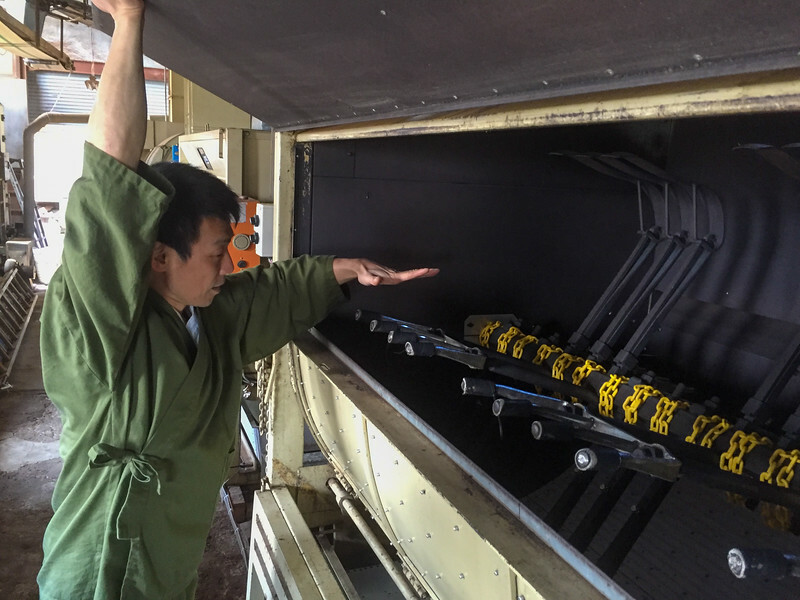 We were there in the off-season (March) but if you come during the spring, summer, or fall harvest you might catch the Obubu team in production. 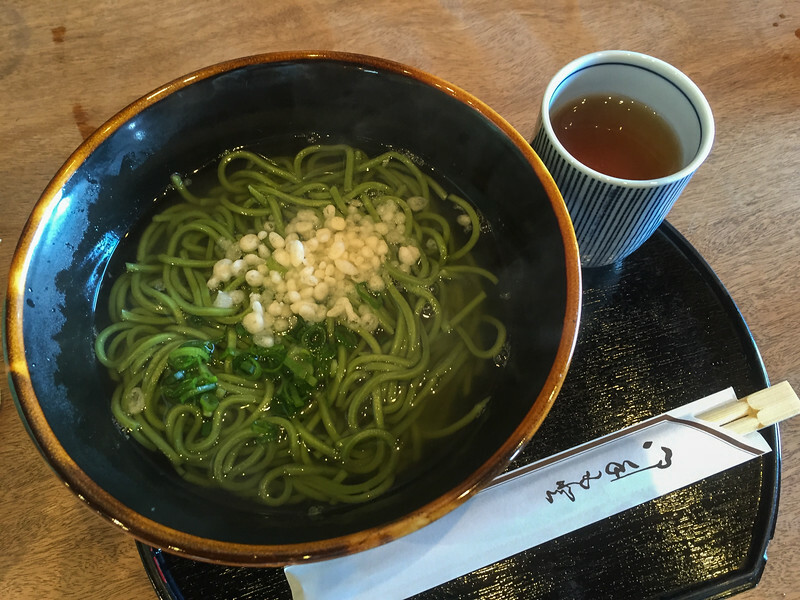 After the tea field tour, we stopped at a local, family-owned restaurant for a tea-fueled lunch: Cha soba — green tea soba noodles! 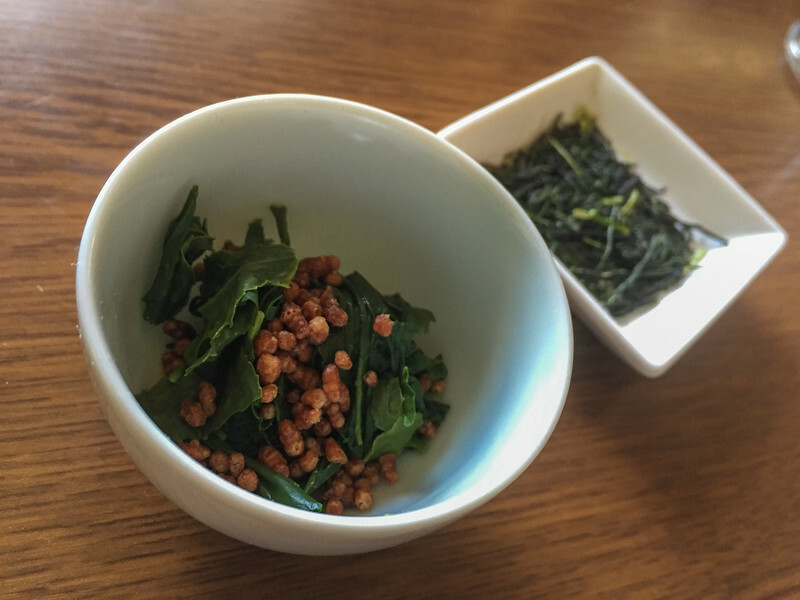 After lunch, we returned to the Obubu office where we spent the remainder of the day tasting and learning about tea in a presentation led by Obubu staff and three foreign interns. 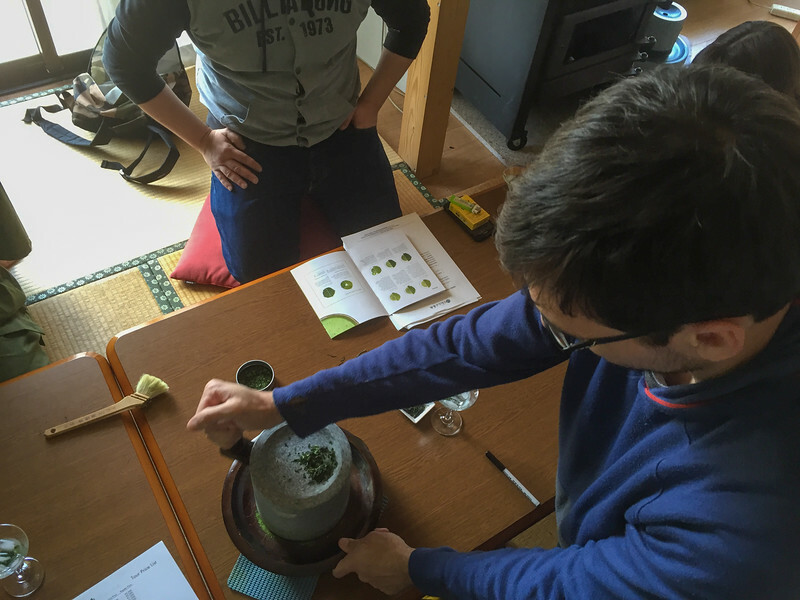 And the ceremonial preparation of matcha. 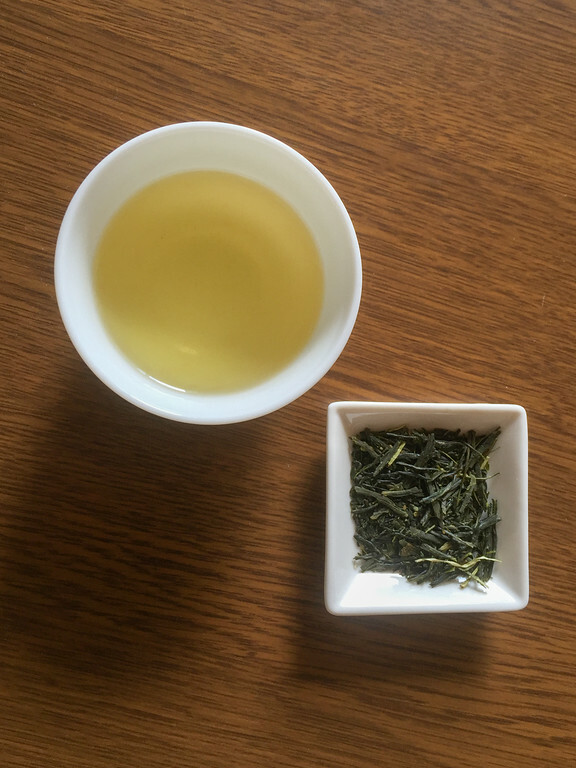 A top-quality, shade-grown “kabuse sencha” infused in melting ice left a very soft flavor, absolutely no bitterness. 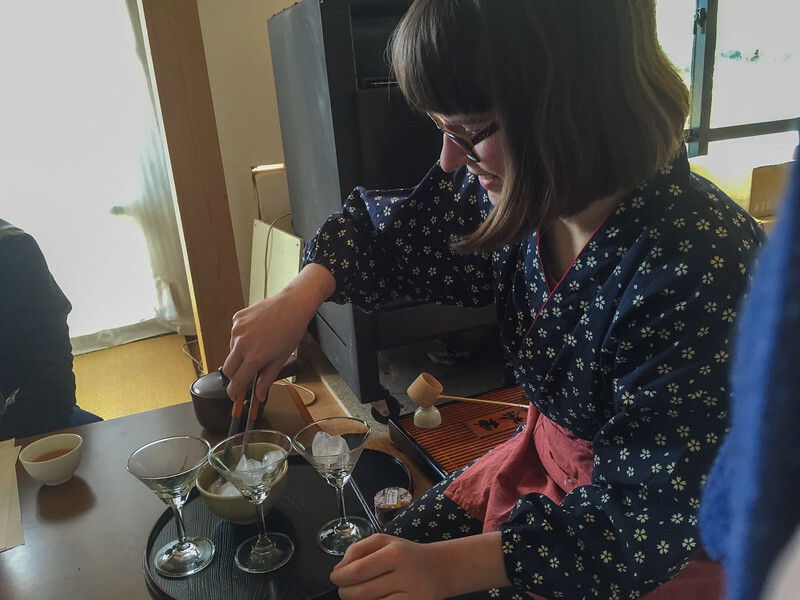 After we drank the sencha, our hosts prepared a quick Japanese-style green tea salad, using the spent leaves. 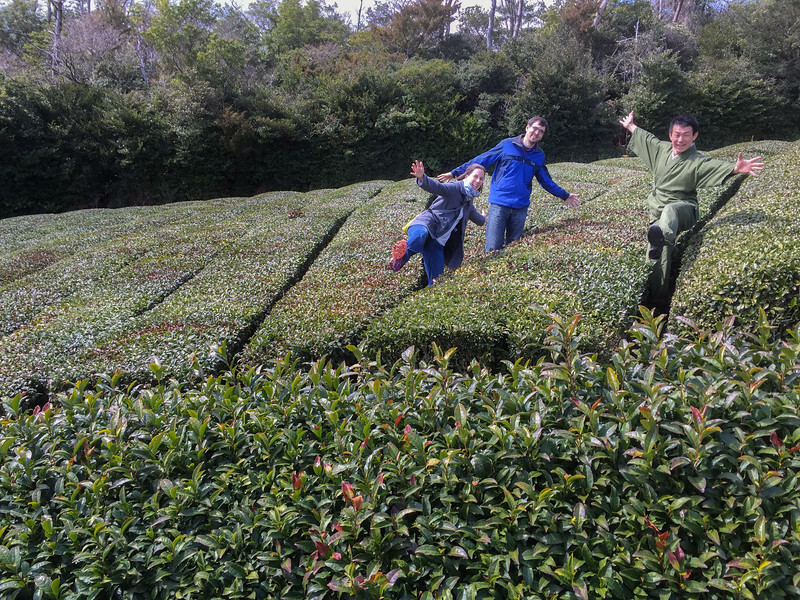 Giandomenico, Kevin, and I were a fairly unusual group for the tea teams because we already knew quite a lot about Japanese tea, but I like to think we challenged the Obubu team with our unusual questions. 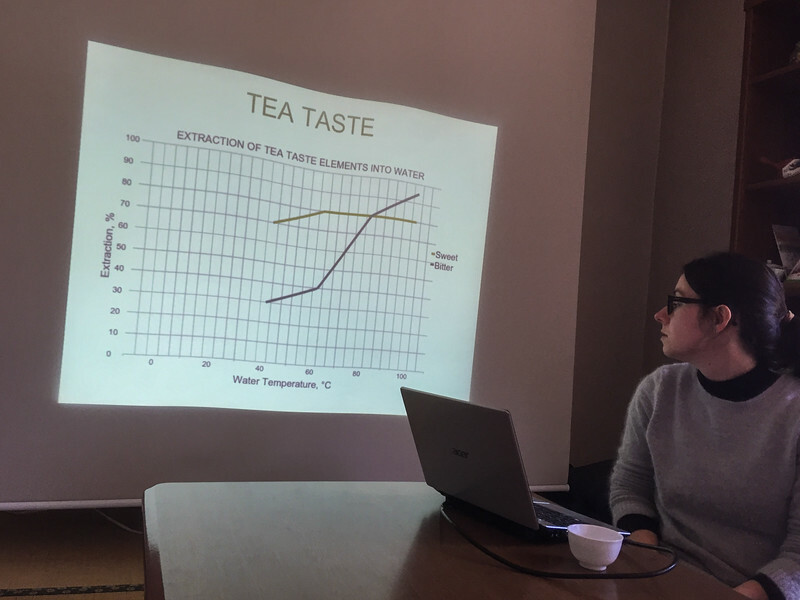 (I really hope we didn’t annoy them…) As serious tea buffs, we all appreciated the data-filled PowerPoint slides. 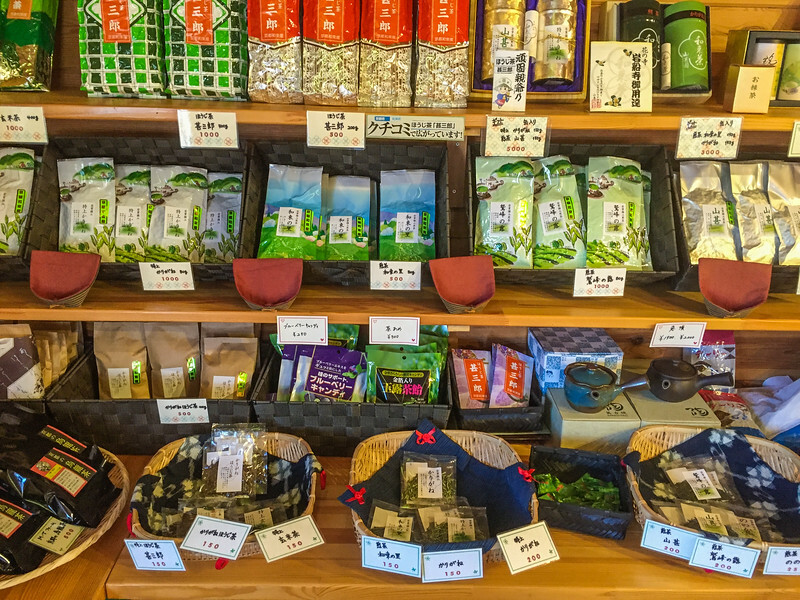 If you are not “tea-ed out” at the end of this day, plan a stop at Yamajin (Address: Ohasama-26-5 Shirasu, Wazuka-cho, Soraku-gun, Kyoto-fu 619-1222) a local cafe that sells many brands of Wazuka-grown tea as well as a full menu of Wazuka-grown matcha sweets. The interns raved about it so Kevin, Giandomenico, and I planned a stop on our way back to the train station. We really enjoyed this cute little cafe, the elderly proprietor (who didn’t speak a word of English but who had a big, loving smile), and our green tea ice cream and red bean dessert. 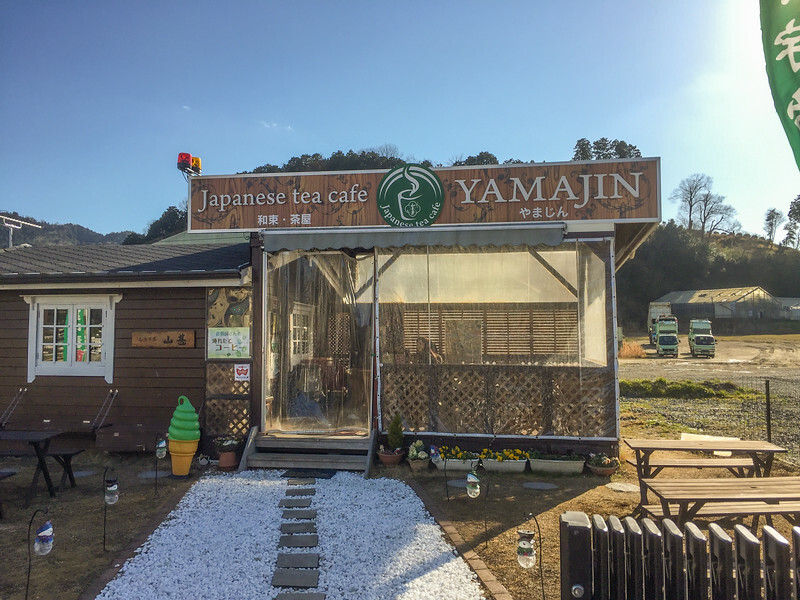 If you are taking the bus from the farm back to the JR train station, you can ask them to let you off at the Yamajin cafe (ask for the “Lawson Market” that is diagonal across the street). 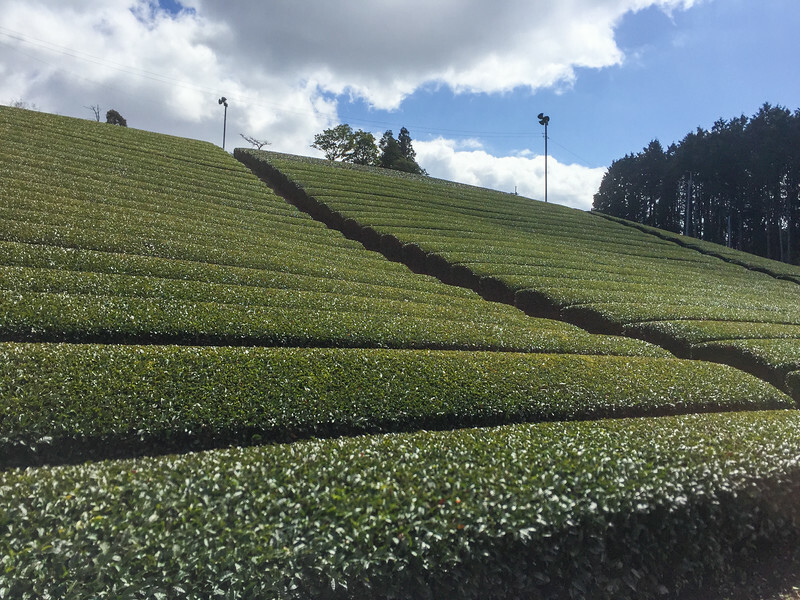 Obubu Tea Farm makes a wonderful day trip from Kyoto (1.5 hr), Osaka (2 hr), or Nara (1 hr), but if I have one complaint about our day, I found it a bit challenging to get there on transit. 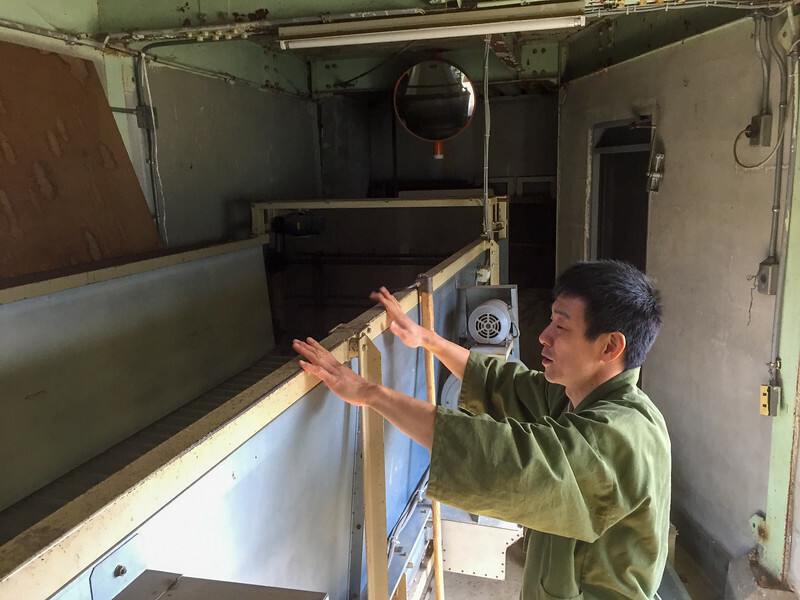 You first have to take the JR train to the nearest station to the farm, Kamo Station. From Kamo Station, you need to either get a taxi (approx. 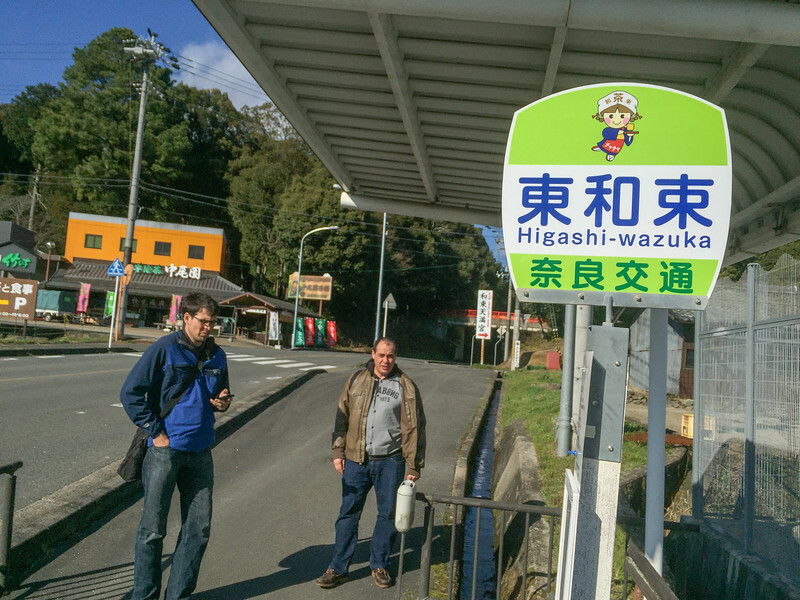 $30 USD) or take the (much cheaper) public bus #66 to the Higashi-wazuka stop. We opted for the public bus, but we were pretty confused about how to use the on-board bus ticket machine and how to identify the correct stop. Since our visit, the Obubu team has added a detailed guide for how to use the public bus ticket machine to their contact + directions page which looks helpful. We were guests of Obubu Tea Farm for the purpose of review. All opinions and photos are my own. Thanks for commenting, Sara! 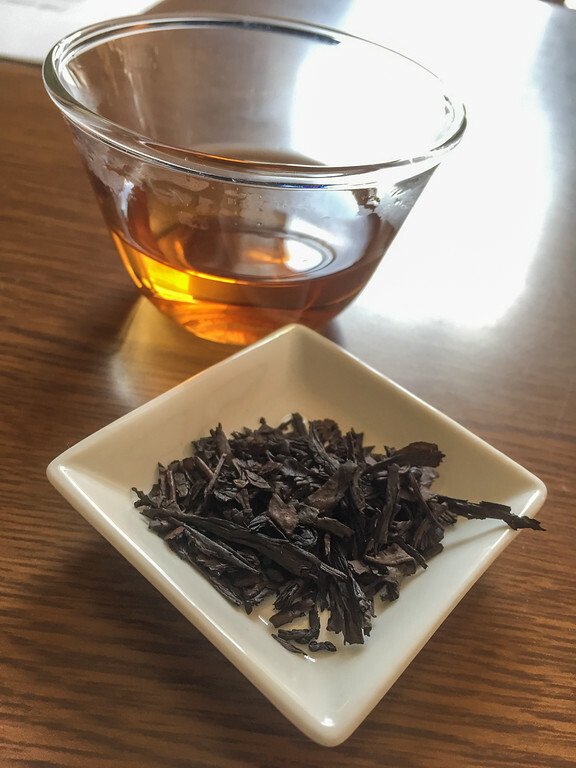 I need to read more tea blogs. I’m heading over to check out your site. Tea Ceremony reminds me Tea Drinking Ceremony (almost same) in China. 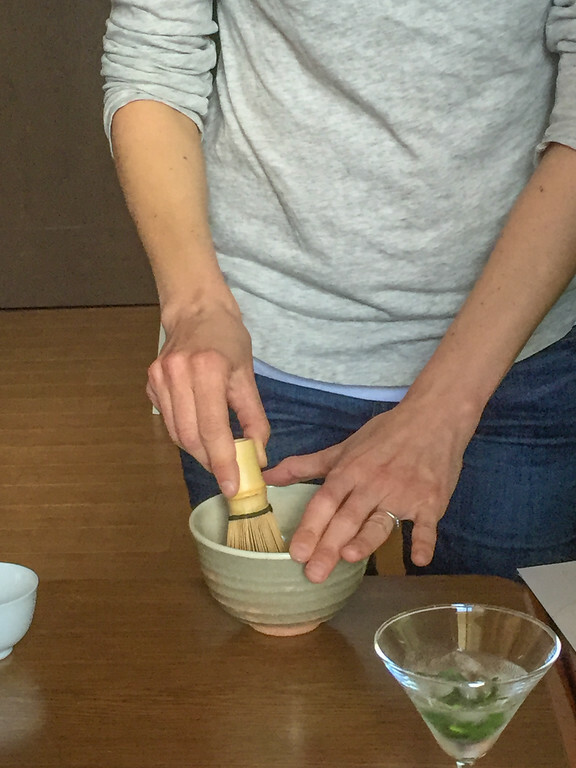 When I was learning Chinese, our instructor brought the tea cups and a little kettle same as here and served the tea. 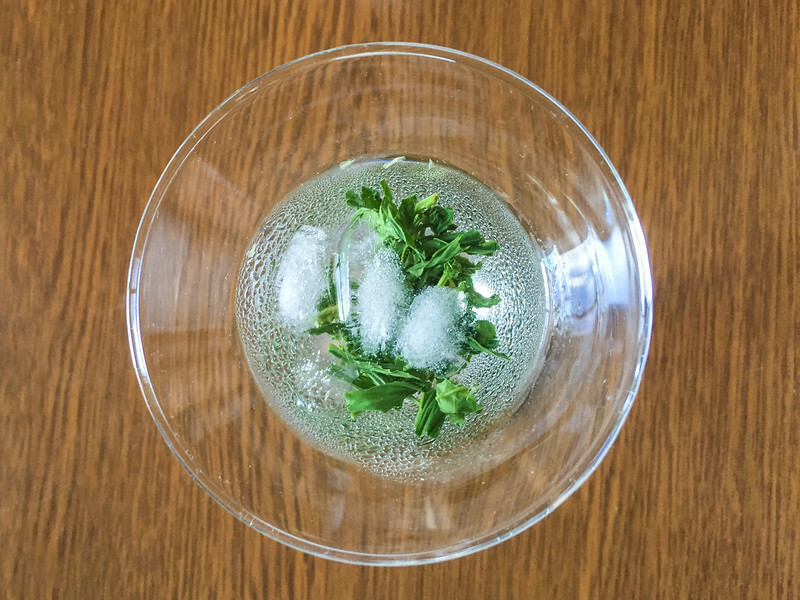 There were different herbs with different taste, this post remind me the sweet gone by days. Thank you for this amazing post! It’s exactly what I was looking for. 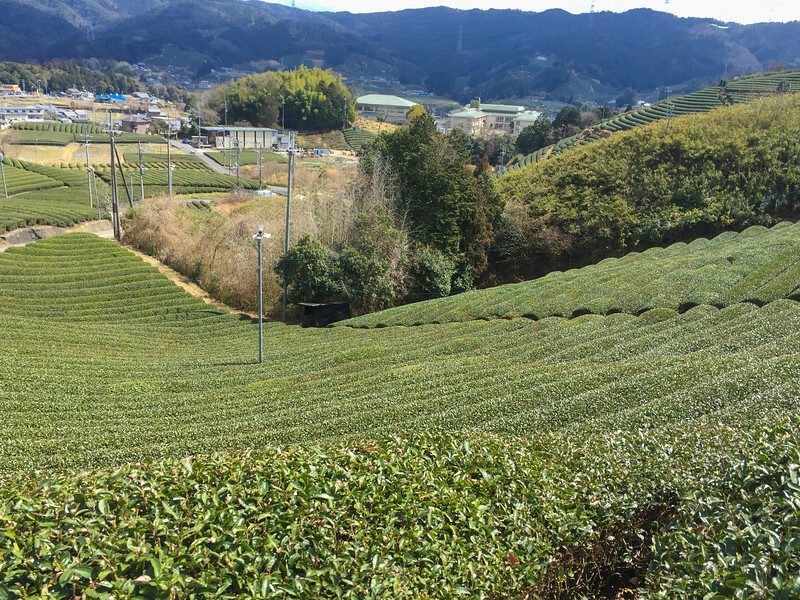 I’ll be going to Kyoto in April and will definitely be visiting this tea farm if they’re open. Great, glad you appreciated it, sorry I missed this comment before. How was your trip? Were you able to visit Obubu? Let me know how it went!